Have I made a mistake in buying these? I'll have another try tonight. 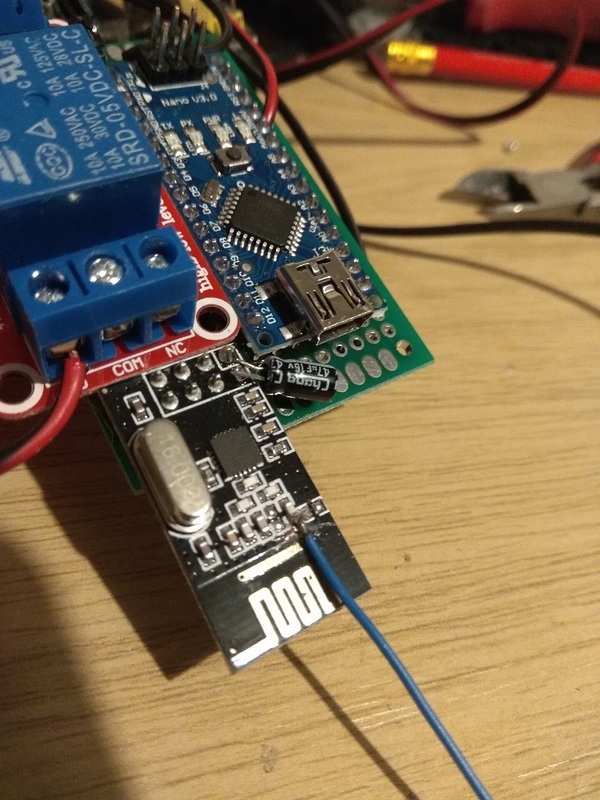 After a bit of trial and error, it turned out that the clone uno board (made by geekcreit) needed a capacitor across the power lines to the radio. Just a further update with these modules. I was having trouble with the modules not being able to communicate across the distance of my house. Since then I received a second order of this same SKU from BG. This time the radios came in nice individual geekcreit bags. I swapped out all the radios and now they communicate perfectly form one side of the house to the other. It's a shame that the BG website lists both my orders as the same part number , so there is no way of knowing what will turn up if I order again. Another 4 boards arrived from ebay. They looked like the bad batch I had in that the tracks on the PCB antenna are slightly thicker. I have also received the NRF24L01+PA+LNA from the link on the Mysensors store. This refuses to work in MAX power mode - yes I am using separate 3.3V supply for it. Everything just locks up. Range in other power modes is no better. The printing on the PCB is different to that pictured. Pin 0 is not marked. Confusingly there is a dot next to pin 8 !!! so so far 3 good radios. 8 Bad ones. I have asked Banggood if they are still shipping the radios that worked. Anybody bought any recently that work ok? Maybe time to change to another band? Anybody bought any recently that work ok? IMHO all the hassle isn't worth the price difference. @yveaux Some useful info there. Thanks. Will keep an eye on those modules to see if the price drops a bit. Today I have conducted some experiments with the antenna on one of my "bad" modules. First I extended the length of the antenna as detailed in the youtube video by @petewill . No improvement to speak of. Having noted that the antenna tracks on all my bad modules are thicker than the ones that work, I cut the track to the on board antenna and soldered on a 125mm piece of cat5 wire. The improvement was immediate. I can now reach from one end of my house to the other. Interestingly there were still a couple of dead spots right at the far ends, but bending the wire at right angles, 2 or 3 cm form the end got everything working. @grumpazoid I did the same but on the tip of the PCB antenna and can confirm that increases the range a lot! @guillermo-schimmel It is interesting that the "tip" method did not work for me. Maybe the antenna tracks on my PCBs are not too good. @grumpazoid It is not the same module. Is another with a simpler antenna.